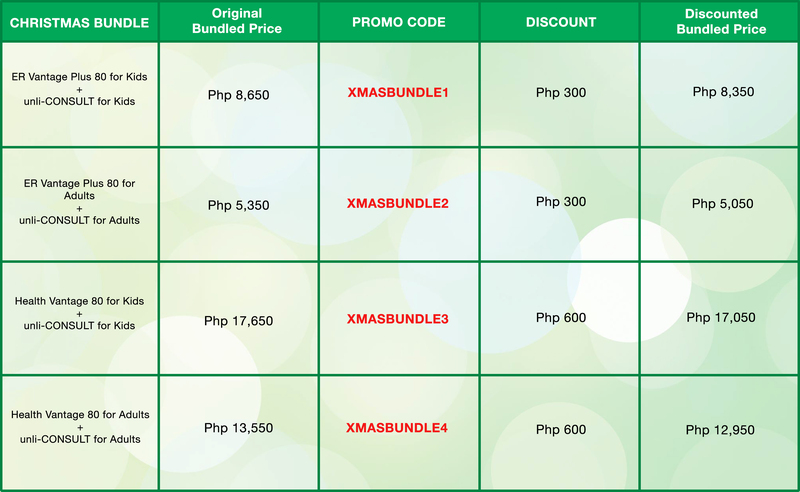 Buy a "CHRISTMAS BUNDLE" of ER Vantage Plus or Health Vantage + unli-CONSULT and apply a code to get a discount! 4. Continue to Check Out. 5. This promotion can't be combined or added with other PhilCare promotions and is exclusive for online transactions only. 6. Promo not applicable to agents. Promo is valid from December 1, 2017 to December 31, 2017.